McBain Street, Altona is named after Sir James MacBain KCMG businessman and politician. He was born on 19 April 1828 at Kinrives, Ross-shire, Scotland, son of Smith MacBain, farmer, and Christina MacBain, née Taylor. The family later moved to Invergordon. He married Jessie Smith of Forres in May 1853, youngest daughter of William Smith, of Forres, and sister of the late Duncan Smith, manager of the Oriental Bank Corporation at Bombay. Not long after their marriage they left Britain and in October they arrived on the Great Britain at Melbourne. Shortly after his arrival he entered the service of the Bank of New South Wales, but he quit shortly after and became partner in Melbourne of the mercantile and squatting agency firm of Gibbs, Ronald & Co. In 1863 he became a partner in the Geelong and London business of that firm, and of Richard Gibbs & Co., of London. In 1865 Geelong and London was sold to the Australian Mortgage, Land and Finance Company, Limited, of the Australian Board of which Sir James was chairman. Sir James was a member of the Council, and a trustee of both the Ormond College, affiliated to Melbourne University, and of the Working Men’s College, Melbourne. He was also a trustee of the Scotch College and the Ladies’ Presbyterian College, and of the Public Library and National Gallery. Sir James represented the Wimmera district in the Victorian Legislative Assembly from 1864 to 1880, and in 1880 was elected to the Victorian Legislative Council for the Central province. In 1884 Sir James MacBain was elected for the South Yarra Province and succeeded Sir William Henry Fancourt Mitchell as President of the Victorian Legislative Council, from 27 November 1884 to 8 November 1892. He was knighted in May 1886, and having in the meantime acted as president or the Melbourne Centennial Exhibition, was created K.C.M.G. in 1889. Sir James MacBain served on many finance committees and was a director of the Colonial Bank of Australasia, the Victorian Fire and Marine Insurance Co., the Australasian Fire, Marine and Life Assurance Co., the Australian Mutual Provident Society and at different times local director of the London Chartered and the English, Scottish and Australian Banks. At the height of his career Sir James suffered severe hepatitis from which he did not completely recover. He died on 4 November 1892 at his home, Scotsburn, Toorak. His funeral procession was two miles (3.2 km) long and plans for a public memorial were discussed almost immediately. The funeral cortege, which was of great length, proceeded to the Boorondara Cemetery, where the interment took place. The pallbearers were the Hon. 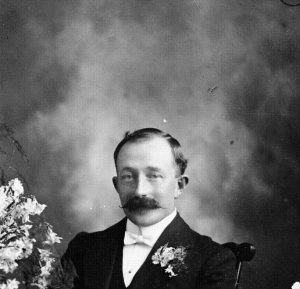 W. Shields (Premier), the Hon. T. Bent (Speaker), the Hon. W. A. Zeal (Post master-General), the Hon. J. Balfour, M.L.C., Mr. P. Harper, M.L.A., Dr. Morrison, of the Scotch College, the Hon. Simon Frazer, M.L.C., and Mr. G. Jenkins, C.M.G. (clerk of Parliament). Blyth Street is named after John Blyth one of the six original directors of the Altona Bay Estate Co. Limited and gives his name to Blyth Street, Altona. John Blyth (1824-1908), merchant, was born on 31 August 1824 in Scotland, son of William Blyth and Christian Blyth, née Crookshanks, of Garvald, East Lothian, Scotland. On leaving school he entered a grain and produce firm and had his own business for six years before he decided to try his luck on the San Francisco, Californian diggings. In 1852 he arrived at the Victorian goldfields, was unsuccessful and turned to milling at Newstead, near Castlemaine. In the early 1860s he moved to Melbourne and with John Wallace established a mercantile firm and shipping agency, securing the agency for the Loch line. The firm was later known as Macfarlane, Blyth & Co. and finally as John Blyth & Co. Blyth had other business interests and on the Yarra bank owned bone mills (Blyth, Irvine & Binnie) which he moved in 1882 to Footscray when requested by the government. He invested in the Queensland sugar industry, mills on the Loddon and in the New South Wales pastoral industry. In all these ventures he prospered until the 1890s when he crashed heavily, but courageously and cheerfully re-found his fortunes. Blyth gave much time and energy to community affairs. In 1877 he was a member of the Harbor Trust Committee appointed to select an engineer and he was an active commissioner from 1883 to 1902. He was a frequent spokesman and representative for the trust’s development schemes, defended it against the 1892 attack by the Age and served as chairman in 1898-1901. Blyth was a member of the Corn Trade Association and president of the Chamber of Commerce in 1883-85 and proposed their amalgamation. He represented the chamber on the Calcutta Exhibition Commission and was a delegate at the 1883 conference with the Chamber of Manufactures held to discuss intercolonial free trade. A council member of the Royal Agricultural Society and president for a term, Blyth scorned the suggestion that good quality tobacco could be grown in the Goulburn Valley. He was a director of the Melbourne Hydraulic Power Co., formed in 1887, vice-president of the Economic Permanent Building Society in 1890, a supporter of the Old Colonists’ Association and the St John Ambulance Association, on the Alfred Hospital committee, chairman of the Women’s Model Lodging House, trustee of the Sailors’ Home, a committee member of the Royal Caledonian Society and a commissioner for the 1888 exhibition. Blyth was married twice: first in 1854 to Catherine Preston (1827 – 1870), by whom he had nine children (Christian, Margaret, William, John Jack, George, Alexander); second in 1871 to Ellen Richards (1850 – 1917), by whom he had eight children (James, Robert, Beryl, Reiza, Ruby, Beatrice, Norman, Dorothy). Two months prior to his death he was attacked with a severe illness, but despite his great age he recovered, and went about his business as usual. 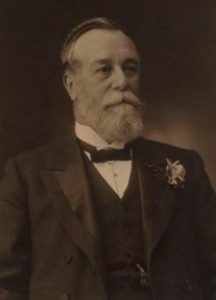 His death, on 24th December, resulted from a general break up occurred at Blythswood, Lilydale, on 24 December 1908, survived by his second wife, six daughters and seven sons. This street was always believed to have been named after three children of one of the directors of the Altona Bay Estate Company Limited being a combination of the first two letters of their christian names being Robert, Mary and William. While it is known that John Blyth had between 14 and 17 children, from his two marriages, and that three of these children were Robert, Margaret and William, there is strong evidence to state that this street name can be attributed to the family of Ross Kenneth Macartney, also one of the directors of the Altona Bay Estate Co. Limited. Ross Kenneth Macartney was born in Ireland, in 1843 the second son of John Neil Macartney, Sandhurst (formally of Armagh and Belfast Ireland). In the early sixties, when the first volunteer rifle corps were formed under Colonel Pitt, he was champion rifle shot of Australia for three years. On 21 July 1870 he married Jennie Kesterson b 1848 of Melbourne, at Christ Church St Kilda in Melbourne. Jane or Jennie was the fifth daughter of William Kesterson of St Kilda. Ross had an older brother George Macartney. While Ross was listed as a Timber Merchant he was one of the pioneers of the Victorian coal industry. At one time he held extensive interests near Korumburra, and published a guide to the Victorian coal mines. Many years ago he took part in the last gold rush to Port Darwin, where he did much prospecting, and met with difficulty in securing return to Victoria, having to come via Java. In the seventies he, together with the late Mr. John Wagner, was largely interested in mining at Bendigo, and at the beginning of the West Australian rush he was concerned in several ventures there. He can to be part of the Altona Bay Estate Company Limited through his strong acquaintance with Henry Upton Alcock. So Romawi is actually – from Ross, Maud and William. What also backs this is that the Macartney family also owned a property on the shores of Lake Victoria, near Bainsdale known as Romawi Estate which was situated on Romawi Road. This property was should after a few years to Messrs. Michaelis, Hallenstein and Co.
Owing to ill-health, Ross and the family moved to live a quieter life at Georgetown, Tasmania. He passed away on the 21 November 1908, aged 65, leaving a widow, two sons and one daughter. Grieve Parade (formally Lily Street and Grieve Highway) was one of a number of Altona’s Streets named after a pioneering family, but more directly it was to acknowledge the service given to the Altona community by David Grieve. David Grieve was a native of Williamstown being born there in 1880 to Thomas and Margaret Grieve (nee McNulty). His parents migrated to and settled at North Williamstown in the 1840s when there was hardly a single dwelling in Victoria Street and only a few on Kororoit Creek Road. His parents took up dairy farming and were the original suppliers of milk, butter, eggs and, poultry to large number of district residents. David resided at Brooklyn from boyhood and continued the family tradition being a successful dairy farmer until he retired in 1941. David and Honora Kennedy (1872 – 1922) married 24 July 1912. She was the daughter of William Kennedy and Catherine Maria Kennedy nee Murphy. Born 1872 in Sale and died 17 January 1922 67 Verdon Street Williamstown. They had a son Thomas, and two daughters Catherine (Mrs E D McIntyre) and Honora (Mrs D W McIntyre). Both daughters were nurses at St Vincent’s Hospital. His second wife, Catherine Kennedy (1877 – 1954) was born in Sale and was the sister of Honora Kennedy. They were married 18 April 1923 at St Mary’s Williamstown. 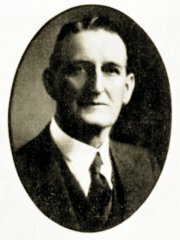 When the Altona Riding of the Shire of Werribee was formed in 1928, David was one of the originally elected representatives. He served on Council for 11 years, and was Shire President 1937-1938. He was a popular councillor, always ready to work in the interests of the Shire. It was in his year as the Shire President that the new Altona Hospital was built and opened, and it was David’s honour to lay the foundation stone of the hospital. David was also associated with many local institutions and an unostentatious benefactor to many and one that always had a kindly word for his neighbour. He was highly respected by the people associated with St Mary’s at which he was a lifelong member. David died of a heart attack early on Sunday 9 November, 1941 while preparing for church. When he died, David was the last surviving member of a large pioneering Irish family. Rayner Street was formerly named Fanny Street by the Directors of the Altona Bay Estates Company Limited in 1888. It is rumoured that when the American Army was stationed in Altona during the WWII, it was thought that the name Fanny may offend, so it was changed to recognise a pioneering family of the Altona District, Henry Rayner. Henry Rayner was one of the early residents of the Altona district moving into the area around 1890 and living in Mount Street. Henry was born 31 August 1845 in Northbourne, Deal in County Kent England to parents Henry (1815 – 1859) and Eleanor Rayner nee Marsh (1817 – 1892). Henry was one of thirteen siblings being the fifth born and second eldest son. At the age 16 Henry had joined the Royal Navy as a Boy Seaman 2nd Class and then at 18 as an Able Seaman. He served on various ships until his last 15 months of service when he was transferred to the ‘Himalaya’ on the 1st June 1872. It was not long after this transfer that the Himalaya was required to join other ships within the Ashanti War on the Gold Coast of Africa. It is believed that Henry may have been one of a large number of members of the Himalaya that received the Ashanti medal. Henry was discharged from the Navy in September 1873 at he then joined the Merchant Navy aboard the ship Northumberland out of the Port of London. It was on this ship that he sailed to Australia and arrived back in England in February 1874 but had fallen in love with Australia. On February 28 1874 Henry married Ellen Cotterell (1854 – 1942) at Old Windsor, Bershire. It appears that Henry and Ellen met through one of Henry’s Royal Navy shipmates while Ellen was employed as a servant at Windsor Castle. Ellen Cotterell was the daughter of John and Ellen Cotterell nee Searle born 25 January 1854 at Winkfield, Berkshire. They had 10 children Charles Henry, Elizabeth Annie, John, George James, James, Henry Edward, Eleanor Alice, Charlotte Lucy, Violet Mary, and Ernest Moss. Henry again signed on to the ship the Northumberland which was destined to travel to Australia. His wife Ellen signed onto the same ship as a ‘help’ to Lady Hutton, who was bound for Sydney. After their arrival the family resided in the Preston area for about four years before Henry joined Victorian naval forces at Williamstown (22-3-1878) and transferred from Navy 22-9-1889 to ordnance department, from there to light house keeper serving at the Otway Lighthouse. Henry came to Altona around this time where he bought property in Mount Street, approximately ¼ acre on the corner of Mount Street and Railway Street South from where he ran a small dairy farm. The house that the family lived in was built by Mr Hick, a builder & carpenter, from Williamstown in 1889. The home was of oregon frame on bluestone foundation, baltic pine weather board exterior – interior tongue & grooved lining galvanised roof – four main rooms, verandah back & front. The back verandah was quite large & there was a detached wash house. Just after the completion of the house the family moved away from the Altona area and down along the coast to tend at a number of the lighthouses between Queenscliff and Warrnambool. They house was rented out to the Government and was lined with sheets for use as a magazine before the explosives reserve came into operation. They was about a sixteen year period where they were away from Altona and the family may have worked their way down from Queenscliff and Point Lonsdale, through Cape Otway and then to Warrnambool before they returned to Mount Street Altona. Henry retired at Warrnambool at sixty years of age 1905, on a small government pension. There were no old age pensions or allowance for children. The family returned to live in their home at Mount St Altona 1906 as small farmer, few cows, pigs, fowls, horses and a good 14’ boat for fishing, part of our living. Interestingly, this was the occupation of his father, Henry. Henry passed away from a seizure on Good Friday, 29 March 1929. His obituary notes – “Here he lived, highly respected and liked by all with whom he came in contact, until the day of his final seizure.” Such was his standing within this small community that two of the pall bearers were Councillors Wilcher and Grieve, along with J Duke, A Turner, W Groves, E Starford, L Moss and G Aldridge. Henry is buried within the Church of England section of the Williamstown Cemetery. Henry was survived by his wife Ellen and their children – George, James, Henry, Eleanor, Charlotte and Ernest. Ellen remained in the family home in Mount Street and passed away in May 1942 and is also buried in the Williamstown Cemetery. James Rayner remained in Altona living in Rose Street, with his wife Nellie Anne Rayner until his death in 1951. Sargood Street, Altona was named after Sir Frederick Thomas Sargood KCMG (1834-1903), merchant and politician, born on 30 May 1834 at Walworth, London, son of Frederick James Sargood (merchant) and Emma Sargood, née Rippon, daughter of a chief cashier of the Bank of England. Frederick Sargood arrived with his parents and five sisters in Melbourne on the Clifton on 12 February 1850. He worked briefly as a clerk in the Public Works Department before joining the wholesale softgoods business of Sargood, King & Co., which his father had already established. He spent some time on the Mount Alexander goldfields in 1852-54, and managed the firm’s business in the Bendigo-Castlemaine district. In 1858 he married Marian Australia, daughter of George Rolfe, merchant and later a member of the Legislative Council; the following year he became a junior partner in the firm. The firm had prospered, extending its operations to other colonies, including New Zealand in 1863. Partners came and went, but the Sargood family remained dominant. Frederick Sargood entered the Legislative Council in 1874 at a by-election for the Central Province, and a merger in 1879 with the firm of Martin, Butler and Nichol gave him more time for public affairs. His wife, Marian, had died in childbirth on 6 January and in March 1880 he resigned from the council to take his nine children to England. On 2 December at the Independent Chapel, Ventnor, Isle of Wight, Sargood married Julia Tomlin, aged 34, and the family returned to Melbourne in October 1882. The Rippon Lea Estate was built in 1868 for Sir Fredrick Sargood and his wife Marion, naming it after his mother, Emma Rippon. Located about 8 kilometres from the Melbourne CBD, he contracted a two-storey, 15 room house be built. An extensive pleasure garden was laid out around the house, together with glasshouses, vegetable gardens and orchards. The gardens were designed to be self-sufficient as regards water, and the large man-made lake on the property was designed to store stormwater run-off from the surrounding area. By the late 1870s Rippon Lea was a total of 18 hectares (45 acres) with the kitchen garden alone taking up 0.81 hectares (2 acres).The Sargood family lived at Rippon Lea until Frederick’s death in 1903, and over the years extended the house on several occasions. Sargood held the Legislative Council seat of South Yarra in 1882-1901. He was a supporter of Federation, but whilst he missed out on the 1897 Convention, he was appropriately elected to the first Senate in 1901. Sargood died suddenly on 2 January 1903, while on a holiday in New Zealand. On a scorching day in Melbourne thousands watched his funeral procession, which included eight massed bands, 1200 cadets and a firing-party of 300. He was buried in St Kilda cemetery, where members of the Metropolitan Liedertafel, of which he had been president, sang Sullivan’s ‘The Long Day Closes’. He was survived by Lady Sargood and their daughter, and by five sons and four daughters of his first marriage. His estate was valued for probate at £680,000; he also had substantial property in New South Wales, Western Australia and New Zealand. David Street, Altona was another of the Altona Bay Estates Co. Limited directors David Munro. David was an engineer, speculator and contractor, born in 1844 in Kirkintilloch, Dumbartonshire, Scotland, son of John Munro, blacksmith, and Esther Munro, née Dunlop. The family migrated to Victoria in 1854 on the Tudor. The adult males, of the family, worked at Geelong for £90 a year with rations, however John soon started business as a blacksmith and contractor in King Street, Melbourne, where his three sons joined him as they grew up. The family won the contract for the Moorabool viaduct in Geelong in 1858 and as the colony’s railways extended shared in many government contracts. By 1869 only David remained with his father, trading as John Munro & Son. In September they filed a voluntary petition in insolvency, showing a deficit of £1419 from business losses. After release from sequestration in February 1870 David apparently did not resume business with his father. In 1871 he married Sarah Elizabeth Sydenham. David then started his own engineering and machinery business, occupying land in Queen Street, àBeckett Street, and Elizabeth Street, Melbourne. His trademark was a phoenix arising from the flames and his motto Resurgam. In the construction and railway boom of the 1870s and 1880s David Munro & Co. was one of the colony’s biggest employers of labour. Two of his best works still carry traffic across the Yarra: Queens Bridge built on the site of the old Falls Bridge for £45,000 and opened in April 1890; and the new Princes Bridge built in 1888 for £137,000. His many railway contracts included the Fitzroy-Whittlesea line built for £100,000 and the Frankston-Crib Point line for £53,000. Munro sold every type of sawmilling, threshing and mining equipment, either for cash or on his new ‘Purchasing Lease System’. His patented or improved machines were commonly used by selectors. Like many capitalists he was harsh on his employees and in the temporary slump of 1887 cut their wages from 7s to 6s 6d a day. Unmoved by protests he told the men that their union leaders were ‘vermin to be squelched’. David Munro served as president of the Chamber of Manufactures, was a councillor of the National Agricultural Society and in 1881-83 on a royal commission looking at tariffs. He also developed close links with Thomas Bent after sharing with him the construction of the Nepean Road tramway. They were directors in the Brighton Gas Co. Ltd. In 1888 Bent and John Blyth suggested to Munro that he convert his business into a public company and offer shares on the stock exchanges. In return for his assets Munro received 40,000 shares with a face value of £5 paid up to £2 10s. each and 80,000 shares paid up to £1 each. Bent and Blyth each took up 10,000 partly-paid shares and persuaded the graziers W. and S. Kiddle to take thousands more. Munro plunged into the land boom with abandon, having then borrowed large sums on mortgage from the Bank of South Australia and Bank of Australasia and investing in land for subdivision at Somerton, Canterbury and elsewhere. He bought several acres in Kooyong and built a mansion. Under his wife’s name, again large sums were borrowed from the Mercantile Finance Co. Ltd for land speculation. David Munro floated the Caledonian Land Bank Ltd, its purpose was the acquisition of his properties at Brighton and Canterbury. A meeting of shareholders early in 1889 claimed that he had sold the properties to the company at grossly inflated valuations. Munro offered to make good any loss, produced a bag of bank-notes and on the spot he bought back the shares of dissatisfied shareholders. Eleven days later, a shareholders’ committee of investigation asked Munro to buy all the remaining shares. He refused and wrote scornfully to the newspapers criticizing shareholders who sought ‘to relieve themselves of their personal liability’ but nineteen days later he filed a voluntary petition in insolvency. While he was speculating in land, David continued as managing director of his engineering business on a five-year agreement. At the time of flotation he had about £500,000 worth of contracts in hand. Recommended by Bent and Blyth, he arranged a large overdraft with the City of Melbourne Bank to finance these contracts, but weaknesses in the land market led the bank to insist on Munro’s resignation from the engineering works. Incompetent managers were appointed, many contracts ran late and the company suffered heavy loss. A shareholders’ meeting on 5 April disclosed losses on contracts of £90,000. In the land-boom collapse the value of shares in David Munro & Co. Ltd dropped almost to nothing as did the market price of his land. When a call of 5s a share was made, Munro could not pay and had to forfeit his 120,000 shares. His personal estate showed debts of nearly £380,000 on bank overdrafts, calls on shares and sums owing to other land speculators. His wife also went through the Insolvency Court with debts in her name to land companies of a further £45,000. Six years later a Supreme Court investigation found grave irregularities in the City of Melbourne Bank’s manipulations of his engineering works. Since the bank’s manager, Colin Milne Longmuir, had died at sea, no criminal charges were made and Munro was not recompensed for his losses. The Munro family moved from their mansion to a small cottage in Parkville, where David died on 31 March 1898 from a haemorrhage and alcoholism. He was survived by his wife, who died in 1914, and their three sons and two daughters. Webb Street was named after William Telford Webb farmer and politician, born on 28 July 1842 at Tullamore, King’s County (Offaly), Ireland, son of Richard Webb, farmer, and Maria, née Telford. His parents and their six children arrived in Melbourne on the Black Eagle on 28 January 1859 and settled at Tylden near Kyneton, but in 1863 William went to the Dunstan goldfields near Otago, New Zealand. He was moderately successful but returned after surviving a severe snowstorm in Gabriel’s Gully in which three hundred people died. In 1868 he selected land at Nanneella near Rochester. By 1878 he, his mother and his uncle William Telford owned 900 acres (364 ha). He was an enthusiastic supporter of McColl’s northwest Victorian canal and irrigation scheme, first proposed in 1871, and became a commissioner of the United Echuca and Waranga Waterworks Trust from its inception in October 1882. He was chairman of the Campaspe Water Trust in 1889-1903. 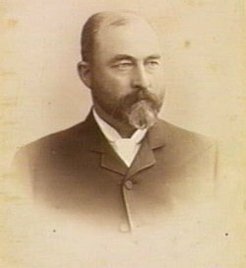 Elected in 1873 as the first farming representative to the Echuca (later Rochester) Shire Council, Webb was a councillor until 1892 and president in 1877-79. In May 1879 he was active in refounding the Rochester branch of the National Reform and Protection League, whose aims were to seek reform of the Legislative Council and to secure direct representation of farmers in parliament. He also represented the shire at meetings of the Decentralization League. In 1883 he unsuccessfully contested the seat of Rodney in the Legislative Assembly but was elected in April 1889 with James Shackell and soon became a powerful advocate of farming and irrigation interests. He held the seat until September 1897; he was commissioner of public works and minister for agriculture from January 1893 to September 1894 and vice-president of the Board of Lands and Works from February 1893 to September 1894. Webb’s belief in the worth and wealth of farming industries was the rock on which he stood in the gloom and instability of Victorian politics in the 1890s. In December 1903 he won the seat of Mandurang in a by-election but lost in the general elections of 1904. On 24 October 1883 at St Matthew’s Church, Prahran, he had married Elizabeth Alice Everitt, a 21-year-old milliner. In 1909 a stroke partially paralysed him, but he remained fairly active in Rochester until his sudden death from heart failure while on holiday at St Kilda on 17 January 1911. He was survived by his wife and three of their five daughters. Fanny Street was renamed Rayner Street after an Altona family who had lived in Altona since 1880’s. The original street was named by one of the directors of the Altona Bay Estates Company Limited – William Huxtable Peryman. William married Frances (Fanny) Goodridge (1847 – 1925) Melbourne 23 March 1871 at the Baptist Church Albert Street, East Melbourne. Fanny was the daughter of Thomas Trist Goodridge and Elizabeth Goodridge nee Parris. William owned and ran W H Peryman & Co , 32 Collins Street, Melbourne and then Fitzroy Street, St Kilda (Auctioneer) and was the auctioneer for the Altona Bay Estates Company Limited. William and Fanny appear to have had three sons, Charles Henry Peryman (1872 – 1950), Rupert William Peryman (1874 – 1946) and Frederick Parris Peryman (1877 – 1952). Their residence as listed in 1890 was Vaucluse Richmond. In August 1890 he was declared Insolvent due to ‘dullness of trade’ in his business as an auctioneer and inability to realise upon his real estate liabilities. In 1903 their address was 6 Normanby Place Richmond West. William died October 1912 at Richmond, Victoria and Fanny passed away in 1925. Why was the street renamed, well the story goes that during WWII when the American servicemen were stationed nearby it was felt that the street name might offend, so it was renamed to recognise one of the early pioneer families of the district. Upton Street, Altona is named after Henry Upton Alcock, one of the six directors of the Altona Bay Estate Co. Limited, but Henry Alcock is better known for his contribution to the prominence of billiards and was often referred to as the ‘Father of the Australian Billiards Trade’. Henry Upton Alcock was born in Dublin in 1823. He set sail for Port Phillip in the Colony of Victoria, in October 1852 on the ship Africa. He arrived in Melbourne in April 1853, and set up in business in Fitzroy with four workmen. By mid-December 1854 his sales were averaging a little over five pounds per day. In 1864 he married Jane Webb (1836 – 1921) and together they had 8 children (Alfred, William, Henry Jnr, Edith, Frederick, Henrietta, Isabel and Kathleen). To use local materials and products wherever possible. When Henry’s first four-employee headquarters was still in Brunswick Street, he moved to Russell Street soon after the company had outgrown the first premises. The buildings on Russel Street were on the east side of the street and stretched across the block between Little Bourke Street and Lonsdale Street, almost to Brogan Lane. Because of the growth of the company, additional space was required and so in 1906 a factory and a wooden square was built in Sturt Street, South Melbourne. Afterwards, additional land was acquired in the same area to meet the requirements of the company. Alcock was known as one of the best wood graders in the colony and developed highly qualified wood drying techniques. His tables won many awards and, although he was not a billiard player himself, he organized tours with leading British players in Victoria. He has received hundreds of references from players around the world. In 1863 he published his book “Epitome or the Game of Billiards”, published in the fifth edition in 1901, as well as the book “The Book of Alcock Billiards”. 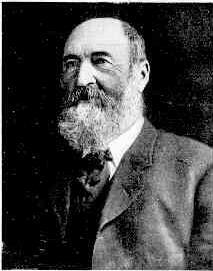 On August 6 1912, Henry Upton Alcock died at his residence in Hawthorn, Melbourne. He was nearly 90. During his lifetime he had produced several thousand billiard tables of extremely high quality, had written a book on billiards running to five Editions and played a major role in the development of the game of billiards in Australia. Davies Street, Altona was another of the streets from the original sub-division that was named after a prominent politician and a leading figure in the Victorian land boom, Sir Matthew Henry Davies. Matthew Davies was born at Geelong in 1850, and educated at the Geelong College, and matriculated at the University of Melbourne in 1869. He was the son of Ebeneser Davies and Ruth Davies, nee Bartlett, of Bracknell, Berks, England. Following his graduation from university, Matthew was employed as a freelance journalist for a short period before being articled to his older brother, John Mark Davies, in 1870. On 23 March 1875 he married Elizabeth Locke Mercer, eldest daughter of the Rev. Peter Mercer, D.D., of Melbourne, Presbyterian minister. They had six children – Arnold Mercer Davies 1876, Marion Agnes Davies 1877, Henry Gascoigne Davies 1879, Beatrice Elizabeth Davies 1880, Muriel Kate Davies 1882, and Olive Blanche Davies 1884. In April 1876 he was admitted a solicitor of the Supreme Court and set up his own practice. He was appointed as the honorary secretary to the council of the Law Institute of Victoria for five years, became a justice of the peace and served as mayor of Prahran in 1881-82. After he failed to win the East Bourke Boroughs seat he went on to represent St Kilda in the Legislative Assembly in 1883-88 and Toorak in 1889-92. 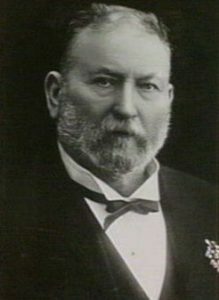 In October 1887, by a majority of just one vote, he was elected as the Speaker of the Legislative Assembly, the first Australian born speaker. When Matthew Davies was knighted in 1890 he was already well known for his gifts to the Imperial Institute, public charities and the Young Men’s Christian Association, and for founding the Cheltenham Convalescent Home. Matthew was also well known for the splendour of his Toorak mansion and his lavish entertainment. His boundless energy combined with personal charm to make him an irrepressible advocate for the ‘great city of Melbourne’ which he and his fellow speculators hoped to build. Beginning in 1877 Davies had become a major land speculator, taking advantage of the spectacular increase in land values in Victoria in the boom decades that followed the Victorian Gold Rush of the 1850s. By 1887 Davies controlled a total of 40 companies, in which Victorian and overseas investors had invested millions of pounds. Like many other public figures, he was caught in the crash of early 1892. His companies suspended payments in March. Matthew Davies resigned from Parliament and sailed to London to try to arrange finance to rescue his business empire, but was unsuccessful. He returned to Melbourne to face insolvency. He was returned to Victoria to face charges but after several trials, he was acquitted of these charges, however was declared bankrupt in 1894. He had personal debts of £280,000, and his companies’ total losses came to over £4 million, one of the largest corporate defaults in Australian history. Sir Matthew Davies returned to his legal practice, and gradually restored his reputation through community service. Sir Matthew married a second time to Margaret Boyle. When he died at Mentone on 26 November 1912 he was survived by his second wife, and by two sons and four daughters. Town and Country Journal, 19 Nov 1892. Seves Street Altona is named after James Seves Hosie, also one of the original directors of the Altona Bay Estates Co. Limited. James was born on 15 January, 1831 at Abbotshall, Fife, in Scotland, son of Robert Hosie and Isabella Hosie, nee Seves. At age 21, James decided to emigrate to Victoria, Australia. He arrived in Melbourne on 11 December 1852 aboard the Koh-i-noor. According to the shipping list, James was a bootmaker. In March 1855 James advertised for bootmakers to work in his shop at 29 Market Square, William Street. He stated that there was ‘constant work’. By April 1856 his advertised location was 40 Bourke Street West, which was on the south side of the street. By 1858 his boot and shoemaker shop was at 12 Bourke Street East on the south side, immediately to the West of where the Royal Arcade is now located. By 1860 his shop was at 10 Bourke Street East. He was also listed as operating ‘Coffee and News Rooms’ at 8 Bourke Street East. Mr Hosie became famous for his Scotch pies. In fact, it was about the year 1860 that his wife, Elizabeth (nee Peitry), first established this line of business. In the very small weatherboard building on Bourke Street East, Hosie carried on his business as a shoe salesman. In a small vacant space at the back of the shop Mrs Hosie set up a couple of tables and opened as ‘The Scotch Pie Shop’. The Post Office directory for 1861 includes a listing for the ‘Scotch Pie House, 10 Bourke Street East’. Her Scotch pies became popular and the shop was extended to the back, with more tables added. As a result of this success, Mr Hosie gave up the boot business and converted the entire shop. In 1863 it was listed as the ‘Scotch Pie House, 12 Bourke Street East’. Apparently the Hanover Street property did not sell, as upon his return the house was advertised for letting. His new address was advertised as being in Lennox Street, the first door above Rowena Parade in Richmond. This was on the West side of Lennox Street between Rowena Parade and Goodwood Street. He also re-established his business at 38 (later, number 36) Bourke Street East. This was on the South side, beside Union Way, now Union Lane. (This site is now occupied by David Jones.) Initially he was listed as a ‘Confectioner’, and later, ‘Pastry cook and restaurant’. In the newspapers his shop was still called ‘Hosie’s Pie Shop’. In 1867 his private residence was listed as being at Great Dandenong Road, Gardiner. Here he owned 15 acres of land with 3 cottages, an orchard, vineyard and paddocks. However, the property was put up for sale during 1867. From 1868 his private residence was once again listed as being at Lennox Street, Richmond. In fact, over time, Mr Hosie came to own many properties in Richmond: 4 x 3-roomed brick cottages in Rogers Place; 7 houses in Rowena Parade; 1 brick house in Rowena Street; land in Richmond Terrace; and land in Lennox Street. 1871 was the peak period of his land ownership in Richmond. After this he gradually sold off his holdings. In 1872 James’ listing in the Post Office directory was recorded as a ‘land and estate agent’ at 114 Elizabeth Street. This matches the period when he was speculating in land in Richmond. The Richmond Rate Records show his occupation as being a ‘gentleman’. In November 1876 Hosie expanded his business activities yet again, opening his Grand Cafe and Lounge, Billiard Saloon and Palace Bar. It was located upstairs at the Victoria Arcade in Bourke Street East, the location which housed the Academy of Music. In 1879 he added to his list of ventures a wine and spirit store, located in Union Lane, Melbourne. 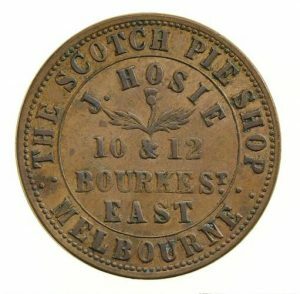 By 1884 Hosie had divested himself of most of his businesses, only retaining his confectionary and restaurant at 36 Bourke Street East. His residence was at Queen’s Terrace, South Melbourne, beside the Cricket Ground. In 1885 he purchased the building on the north-west corner of Elizabeth and Flinders Streets. Initially land auctions were held there, but in October 1886 Hosie’s Hotel and Cafe was opened. Although he sold the Hotel in 1887, it continued to be called Hosie’s Hotel until the old hotel was demolished in 1953. ‘Hosie’s Tavern’ is a reminder of this heritage. After having retired from business, he fell upon hard times with the collapse of the land boom in the early 1890s. As a result, by 1892 Mr Hosie had resumed business again and was running the Reform Hotel, located on the northern side of Little Collins Street, very near the locations of his previous businesses. Hosie invested heavily in land speculation at places such as Apollo Bay and Altona Bay. Unfortunately the land boom burst and he had to go back to the mainspring of his wealth – selling pies. His last shop was in Little Collins Street. He died on March 31 1899, having made and lost a fortune, still running his pie shop. His wife, Elizabeth, died at their South Melbourne residence in 1895. By 1898 he was living at 5 Porter Street, Prahran, where he died on 31 March, 1899. Bent Street, Altona is named after Sir Thomas Bent, Sir Thomas, a politician and land speculator, was born on 7 December 1838 at Penrith, New South Wales, the eldest of four sons and two daughters of James Bent, hotel-keeper, and Maria Bent, née Tomey. His father went to Melbourne in 1849, seeking a new start after financial difficulties; for some years he lived at Fitzroy and took cartage contracts. Thomas finished his schooling there and worked as a grocer’s boy. The family then moved to East Brighton, to a market garden on which all the boys worked. By 21 Tom Bent had his own successful market garden but in 1861 he gave it up to become the Brighton rate-collector, a post he filled with energy and efficiency. 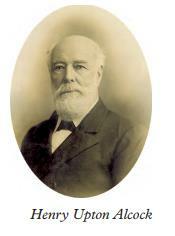 In 1863 he was elected to the Moorabbin Roads Board and became chairman in 1867 and 1868. Bent’s knowledge of and feeling for the locality, as well as his reputation as a sportsman (among other things he was a formidable left-handed, round-arm fast bowler with the Coast Cricket Club), were the basis of his astounding electoral success in 1871, when he defeated George Higinbotham for the Legislative Assembly seat of Brighton, though rather than Bent winning, Higinbotham seems to have lost the seat through his disdain for localism and his constitutional radicalism. In parliament Bent honoured his promises to his electorate by working skilfully behind the scenes and carefully selling his vote for benefits to Brighton. He was essentially a Conservative. 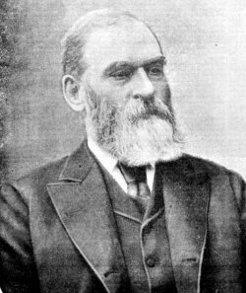 He opposed payment of members and tried to arrange a conference between the Houses during the 1878 deadlock, rather than support the radical programme of Graham Berry. Indeed he was a leading member of a faction which attacked Berry, for by that time he was a master of lobbying, log-rolling and obstructive tactics. Thomas Bent believed strongly and sincerely in progress. He confidently expected Victoria to become a paradise for both capitalist and working man, and true to that faith gave all his considerable energies to directing and sustaining the land boom. He had worked tirelessly on the Brighton and Moorabbin Councils and was mayor of the former and chairman of the latter simultaneously in 1884, 1885, 1887 and 1888. He was associated with the floating of every loan and guided every major project in Brighton between 1874 and 1894. Within a year of him joining the Brighton Council (1874) he was elected mayor. This was about the time his land speculations began, for in 1873 he had bought the unsold portions of Dendy’s special survey (1841), although he subdivided only a small section of it before 1883. In the late 1880s Bent followed his success at Brighton with speculation in land companies all over Melbourne. In a parliament of ‘boomers’ he worked hard for the expenditure of public money to underwrite expansion. In 1881-83 when commissioner of railways for twenty months in the Sir Bryan O’Loghlen government, he brought in the first ‘octopus’ bill, promising lines to all electorates in order to gain general support. He achieved the duplication of the Brighton line in 1882, so essential to the pace of his own subdivisions. In 1890-92 while the first stage of the depression crippled land speculators, Bent was chairman of the Railways Standing Committee which was ostensibly engaged in pruning expenditure. It is apparent, however, that he and others intended through public spending to assist private liquidity. Thomas Bent was the Speaker of the Legislative Assembly in 1892-94, and despite some quaint rulings acted with dispatch and common sense. But he was defeated at the 1894 general election, discredited by revelations about his earlier parliamentary tactics and by the depression. Yet, while many of his colleagues went insolvent, he kept afloat and helped to restore his finances by dairying at Port Fairy. His tenacity in adversity was extraordinary. He travelled hundreds of miles to council meetings at Brighton and Moorabbin; at last after failures at South Melbourne and Port Fairy he was re-elected for Brighton in 1900. He was minister of railways in 1902-03 and from February 1904 until January 1909 was premier and treasurer. He visited England in 1907 and was knighted next year. His death at Brighton on 17 September 1909 was partly the result of the strain of facing a royal commission appointed by his successor to investigate allegations of corruption and irregularity in government land purchases. Although the commission established that Bent gained nothing financially from the purchases, it censured him strongly for unconstitutional behaviour and cast suspicion upon the reasons for rerouting the recently constructed electric tramway from St Kilda to Brighton past an estate which he owned. This and other scandals have often been given undue weight in assessments of Bent’s career, which reached a pinnacle with the premiership. They detract from his tremendous capacity for work, his care for detail, his ability to see the essence of a matter, his organizational skill and his determination to carry out what he intended. He must be given credit for supporting the University of Melbourne and the Public Library and Museum when others whose support might have been expected seemed indifferent to their fate. His character and motives remain something of an enigma. He was bluff but sensitive to criticism, vain in some things but humble in others, public spirited but self-seeking, an individualist but intensely loyal to his friends, ruthless but kind-hearted, conservative yet egalitarian, frank but a poseur who carefully practised his earthy asides. He had extraordinary energy and strong appetites, but above all, perhaps, he was a fighter. His style was typical of that of a generation of politicians for whom there were no organized parties on which ministries could be based, and to whom heavy government and local government spending gave opportunities for patronage and log-rolling upon which parliamentary majorities depended. His beliefs, not just his appetites, seem to have been expressed in the land boom; and the striking thing about his high-handed action in pushing through government land purchases between 1904 and 1906 is that he had once been a large shareholder in most of the estates involved. He seems to have behaved sentimentally, as if to prove that he had always been right about their value. Thomas Bent was married twice: first to Hannah Hall who died childless; second to Elizabeth Huntly, sister of a Brighton market-gardener and councillor. Of their two daughters, Elizabeth married G. Bleazby and was one of the first women municipal councillors in Victoria. John Wren, entrepreneur, was born on 3 April 1871 at Collingwood, Melbourne, third son of illiterate though not indigent Irish immigrants John Wren, labourer, and his wife Margaret (née Nester). Leaving school at 12 to work in a wood-yard and then as a boot clicker, Wren supplemented his 7s. 6d. weekly wage by circulating betting cards, bookmaking and small-scale usury. Wren launched his Johnston Street totalizator in 1893 with a stake bolstered, so he boasted, by Carbine’s 1890 Melbourne Cup victory and subsequent gambling coups. The ‘tote’ was later to net him £20,000 per annum and was at times described as the ‘Bird Cage’ because of its design. In 1910 Wren established the Victorian Trotting Association to reform a stagnant and corrupt sport, long before other States did the same. In 1948 Wren told a Commonwealth royal commission that he had bought Albion Park for £31,000, sold it for £450,000 and earned £300,000 from it. He had entered boxing promotion in 1905. His Stadiums Ltd acquired Reginald ‘Snowy’ Baker‘s interests in 1915 and a near monopoly in eastern Australia. Under its enduring, loyal manager Richard Lean, who also ran Wren’s cycling venue in Melbourne, the stadium was ‘a harsh unimaginative enterprise’ without statutory control. Wren’s miscellaneous businesses, spread over thirty-one companies, nearly always using his associates’ names rather than his own, had no corporate organization. His partners did not doubt his integrity. Wren speculated patiently and profitably in large tracts of marginal land in Sydney and Melbourne. On 31 December 1901 at St Patrick’s Catholic Cathedral, Melbourne, Wren married Ellen Mahon (d.1968), a police constable’s convent-educated daughter. He took her to a reconstructed Studley Hall, across the River Yarra, overlooking Collingwood, where they reared seven children (two others died in infancy) on an almost self-contained farmlet. Wren was more comfortable with his football club (Collingwood) where, from World War I, he was premier patron but not, as believed, the virtual owner. His connection with Altona came when he purchased a parcel of property, Western Beach Estate, west of Maidstone Street on which he was originally intending to build a Speedway Track. The estate had been purchased from A W Purnell circa 1925 – 28, and it would appear that he partnered with Hector Bell, who had partnered Wren in a number of sporting events. When the Speedway didn’t eventuate it was developed into a residential development, however space was allocated for an 18 hole gole course. The streets within the estate were named after birds (Curlew, Linnet, Emu, Seagull, Dove, Robin, Finch, Lark, Kookaburra and Swallow) and the area known as the birdcage. It is believed that these were a play not only on the reference to his surname of Wren but also to his betting establishment in Collingwood, rather than his love of birds. Two streets surrounding the estate (Bell and Purnell Streets) acknowledge two of his real estate partners being William Arthur Purnell and Hector Hercules Bell. Hector Hercules Bell contractor and tramways administrator, was born on 1 December 1876 at Richmond, Melbourne, seventh child of Frank Richborough Herbert Bell, railway guard (later inspector of railways), and his wife Emily (née Roberts). Having been ‘educated privately’, Hector ran away from home at the age of 14 rather than follow his father’s footsteps into the Victorian Railways. After three difficult years as a bush itinerant, he returned home and became a blacksmith. He then tried his hand at contracting, but had no luck. In Melbourne on 1 June 1895 he married Emma Watson (d.1945). They went to Perth where for two years he worked on the construction of the causeway bridge over the Swan River. In July 1935 Bell was elected deputy-chairman of the Melbourne and Metropolitan Tramways Board, to which he had been appointed in 1919. As chairman of the M.M.T.B., Bell gave distinguished service to the people of Melbourne. Within a year the board had posted its first surplus since 1927. The remaining conversions of cable to electric trams were completed, efficiency improved, fares went down and profits up. Bell worked tirelessly during the war as petrol rationing cut the use of private motorcars. John Wren esteemed Bell enough to venture into land speculation with him on Melbourne’s western fringe. This was the Western Beach Estate, known as the bird cage estate which adjoins the Korringal Golf Course, and also where Bell Street partly runs along the estates western perimeter. When he died at his Hawthorn home on 12 November 1964 Bell left a realty of £21,080 and a other assets of £22,809, each being a one-third part of a family trust. Survived by his son and two daughters, he was buried in Boroondara cemetery, Kew. 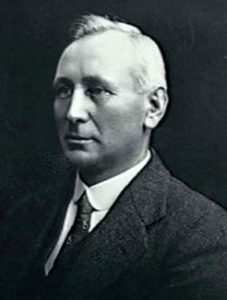 William Arthur Purnell (1878 – 1964), generally known as Arthur Purnell, was an architect who designed many notable buildings in Victoria but also in China. Arthur Purnell was born the eldest son of William Purnell, jun., and his wife Emily (née Keown) in Geelong and educated in number of schools within that area and studied architecture at Gordon Technical College and drawing at the Geelong School of Art. His father and grandfather were partners in Purnell & Sons, builders, and Arthur joined the firm as a draftsman in 1895, then took further studies under C. A. Heyward, a government architect. In 1915 he joined Isidor Beaver at his practice at Altson’s Buildings in Melbourne. An early project which may be attributed to Purnell was the Wattle Path Palais de Danse on the Esplanade in St Kilda. Purnell moved to offices in the Equitable Building at 314 Collins Street. In 1928 he took Eric Hazel Round and William Alfred Graham as partners in Arthur W. Purnell, Round & Graham, architects and engineers. This partnership appears to have lasted only a year, and it wasn’t until 1935 that he took up with Phillip Foster Pearce as A. W. Purnell & Pearce, still at the same address. By the time Pearce retired in 1946, their offices were in The Colonial Mutual Life building in Collins Street. Works produced during this time include: A Greyhound racing track at Tottenham (1927), Grandstand at the Western Oval (1929), The Rosebud Yacht Club (1939) and the Olympic Stand at the MCG (1953-1955), as well as a great number of private residences in a multitude of styles. 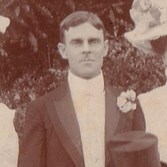 William Arthur Purnell married Jane Farrell from near Streatham, Victoria in 1908; Joan Margaret Purnell, their only child, married Noel William Dickson in 1939. Arthur appears to have purchased 150 acres of land in Altona in the area that was to become known as the Western Beach Estate. He may have been acquainted with John Wren given his design of a greyhound track as it was not long after that Purnell sold the land to Hector Bell and John Wren. Purnell Street, on the northern perimeter of the estate still bears his name. “The architecture of Arthur Purnell: personal life and education”. Culture Victoria. Retrieved 14 December 2015. “New Architectural Firms”. The Argus. Melbourne. 11 July 1935. p. 13. Retrieved 15 December 2015 – via National Library of Australia.